I received this yarn in exchange for my review. As always, all opinions are entirely my own. 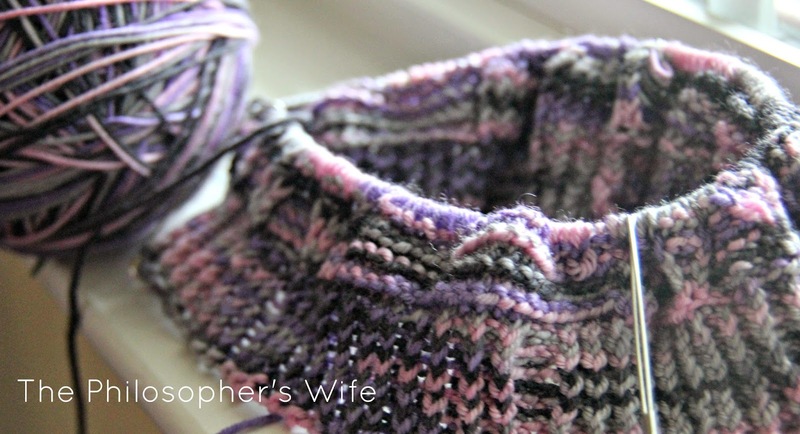 The base for this beautiful yarn is Expressions Fiber Art's signature, custom made, sock yarn. 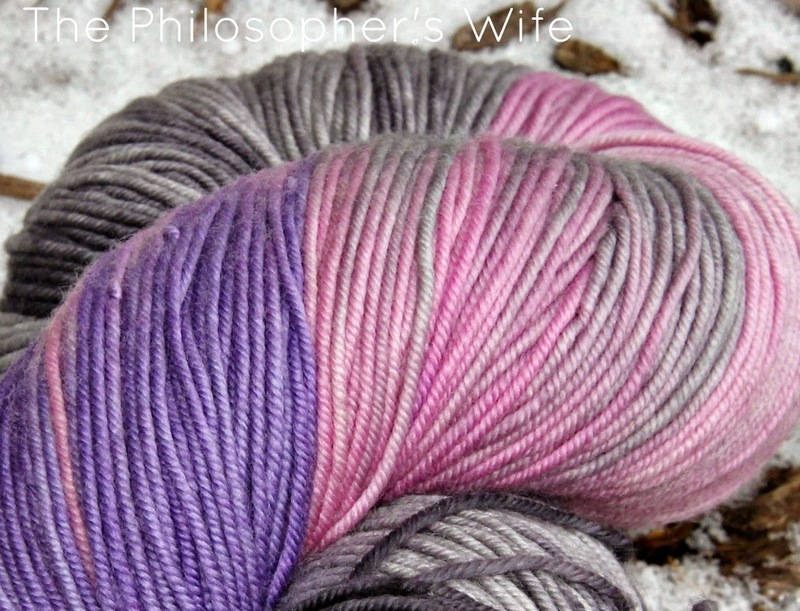 The colorway is Celestial, which has silvery gray mingling with soft black, cool pink, and purple. It's an all around beautiful yarn. Would you like a skein of this yarn for yourself? You're in luck! US only. Must be 18+. Ends February 22, 2015. Shop Expression Fiber Arts website. Buy this particular type of yarn. Check out the Expression Fiber Arts blog. This looks very nice. Thanks for the info! It looks really pretty. Nice colorway. I have never had the opportunity to work with a special yarn like this. I have only used Red Heart as thats what is available and what I can afford. Its my dream to have a special yarn to make something for myself, as all my projects are usually made for me but I give them away. Why crochet beautiful things and keep them? I cant. I would with a gorgeous yarn like this. Loved the review. It always helps to learn. Thanks so much. I follow and share! Those colors are gorgeous! I didn't understand the stash issues one could have when knitting, but I so get it now. It looks like a beautiful yarn!! I've just started to crochet and it's so relaxing. My mother was great at it but I could never quite get it until now. I would love the chance to work the beautiful yarns that are available from Expression Fiber Arts Yarn. I adore this colorway! Looks like wonderful yarn! i'm so in love with this yarn! I enjoyed the review on the yarn from Expression Fiber Arts- Chandi. I love the colors in the featured yarn...you should see her other yarns as well!! They are the best! I just love all of the beautiful colors! 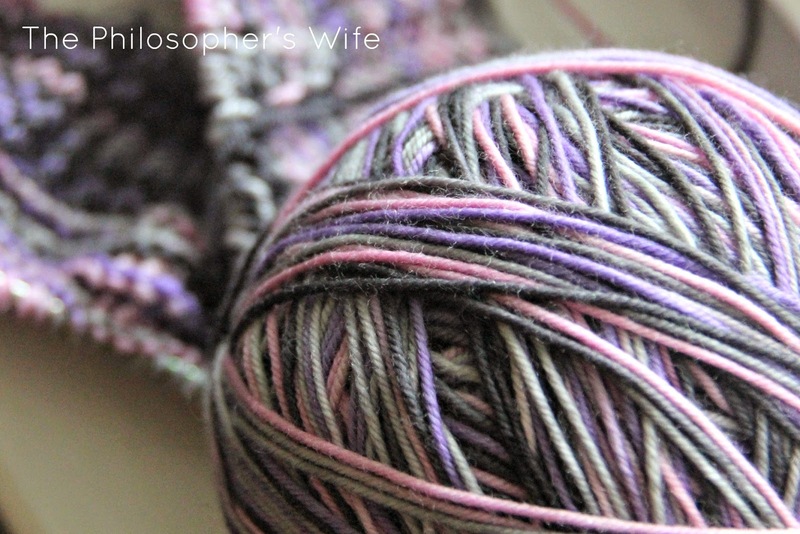 I've used this yarn base before, absolutely love it, living this color and your hat idea! Beautiful yarn! I imagine it would be wonderful to work with. I agree with your assessment of the yarn. I've loved all of her yarn I've worked with. I'm glad you're enjoying it! I've enjoyed having/using her cashmere sock, her yak sock, and her resilient sock. They're all lovely! I have drooled over her yarn for quite a while now but haven't had the opportunity to try it! Beautiful colors in this yarn. 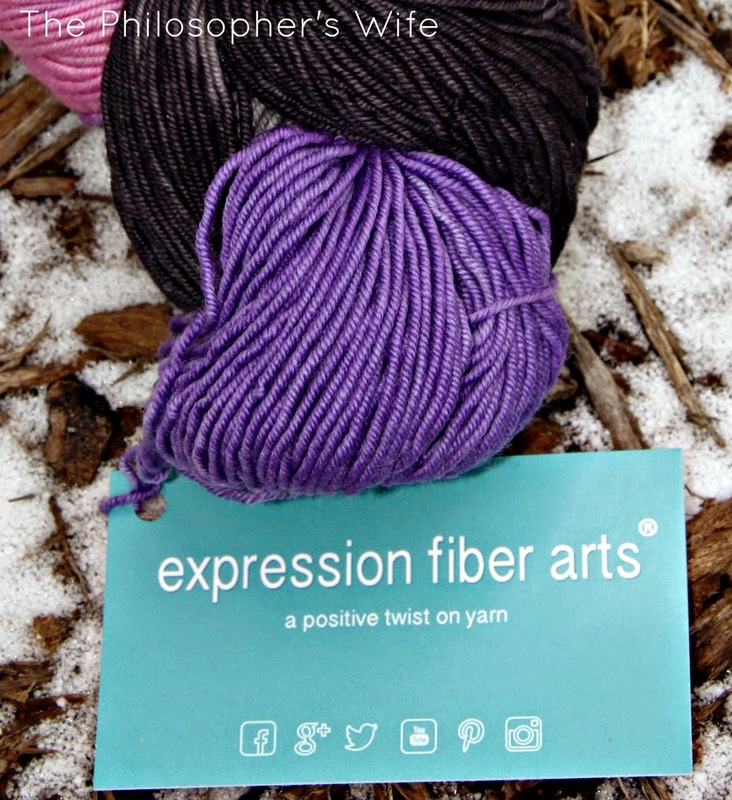 I love Expression Fiber arts! 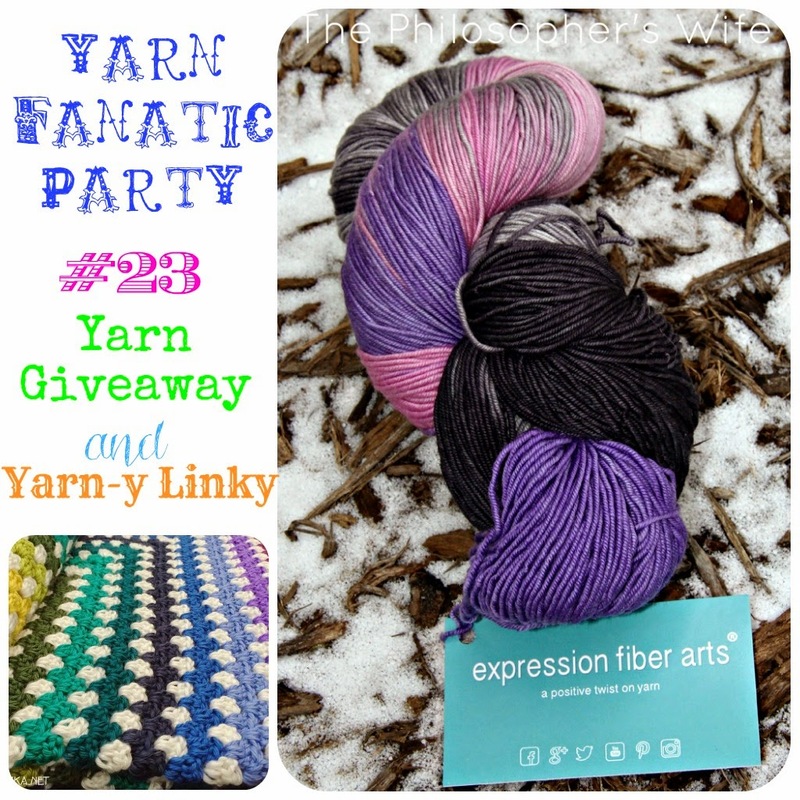 Beautiful yarns and generous giveaways!!! I have been drooling over this yarn for over a year. Maybe it is time to pull the trigger and buy some. Thanks for the review. Like your review, I will have to give this yarn a try. I love the color combo. That will look great as a hat! I would try that yarn in a Tunisian crochet stitch, I think. The color changes are great. The yarn is beautiful. I love the colors. I could use some of this yarn in my stash. I would love to feel this yarn because I know the colors are outstanding!